E&M Combustion is making the commissioning of the auxiliary boiler for the start up of the coal thermoelectric plant that Isolux Corsán built in the Rio Turbio coal basin in Argentina. The Spanish company has supplied two dual burners to this facility, that is a major boost for the energy and economic development of the south part of the country. It has a budget of 445 million euros (650 million dollars) and it will have a capacity of 240 MW electricity generation from coal, with the aim to exploit the coal reserves and the revaluation of the mining basin. E&M Combustion is carrying out the work of commissioning the two chamber boiler manufactured by Lointek, which operates with a steam production of 25,000 kg / hr, a pressure of 9 bar and a temperature of superheated steam of 230 ° C. The boiler is equipped with two dual fuel burners 11,500 GLO model, manufactured by E&M Combustion to be used with diesel and gas. 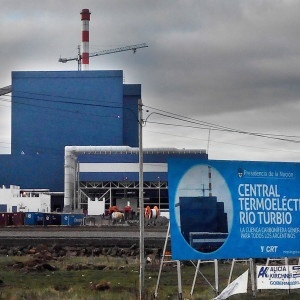 The thermoelectric plant, located in the province of Santa Cruz, will utilize circulating fluidized bed (CFB) technology, close to the only Argentinian coal field. It is designed with CFB technology to ensure low emissions. It will draw the coal produced at the mine of Rio Tinto. Currently, the technical department of E&M Combustion is executing works of commissioning of several projects in several countries such as Saudi Arabia, Argentina, Egypt and Morocco. The company is present in over 20 countries and sends more than 70% of its production for export. E & M Combustion is a spanish company founded in 2004 and is specialized in the design and manufacture of industrial burners with innovative technologies with low emissions and tailored to the needs of its customers, enabling significant energy savings. It operates mainly in the energy, petrochemical, oil & gas and part of the food industry.